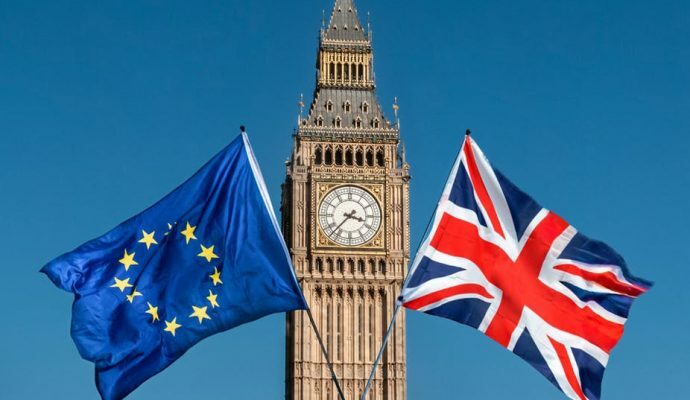 Of primary concern to the United States, most European nations and the Gulf monarchies is the protection of the oil producing facilities in proximity to the Gulf region and the continued safety of commercial traffic through the Strait of Hormuz. The quantity of oil produced in the Persian Gulf area and sent through the Strait of Hormuz accounts for roughly 30% of yearly world supply and 20% of US oil consumption. For the US and Europe, any significant rise in world oil prices caused by limited international or domestic supply would be disastrous for continued efforts toward economic recovery and domestic political approval making protection of this region vital to Western, democratically-elected governments. For the Gulf monarchies, oil accounts for the majority of their economies and must be protected as their primary source of income giving the US, Gulf monarchies and Europe a joint interest in defense of Gulf oil trade. 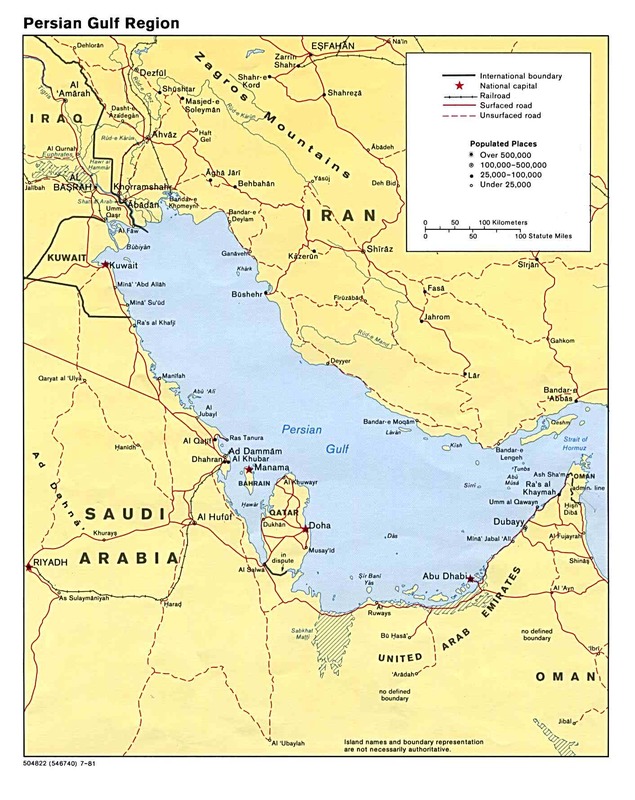 Iran’s southern coast stretches the length of Persian Gulf through the Strait of Hormuz and out into the bay of Oman offering Iran easily exercisable hard power in the relatively narrow Gulf and Strait of Hormuz. In addition, Iran threatened last summer to close the Strait of Hormuz in response to Western sanctions prompted by the Iranian nuclear program. Whether Iran has the actual ability or the will to close and maintain closure of the strait is questionable but cannot be considered impossible. Instead of ruling definitely that one or the other case will happen I will instead attempt to describe the military situation surrounding the region. After the 2003 invasion and subsequent collapse of Saddam Hussein’s Iraq, Iran lost its primary non-US military counterweight in the Persian Gulf area allowing it to pursue its interests significantly less constrained by the absence of a strong opposing military presence. In recent years, increased arms sales to Saudi Arabia and the other Gulf states have attempted to make up for the disappearance of the Iraqi army but the Saudi and Gulf monarchy forces are untested and lack the operational experience of the Iranian military and previous Iraqi forces. Saudi forces, however, do use more technologically advanced weapons, purchased from US and European defense contractors, than the primarily Cold War-era or Cold War-era derivative weapons of Iranian Forces. Technology offers some benefits to the Saudis and Gulf monarchies but should not be seen as an adequate substitute for operational experience. Considering a worst-case scenario where Saudi forces are outmaneuvered or incapable of providing defense for the Gulf, it is almost certain that US military assistance would be required. In terms of naval presence, Iran has Four submarines (three Russian built, one Iranian built), three Destroyers (one UK built, two US built, all pre-1979), and five light patrol frigates (three UK Pre-1979, two Iranian built) as well as 25 midget submarines (21 Iranian, four North Korean), 24 small missile ships and an assortment of small patrol craft. The US’s Fifth Fleet operating out of Bahrain is currently composed of Carrier Strike Group (CSG) 3, which currently has only two guided missile cruisers and the Carrier John C. Stennis as its capital ship. Originally, the US was planning on sending CSG 10 to support the Fifth Fleet, but plans for deployment were delayed on February 6, 2013 following ‘budgetary uncertainty’ during the fiscal cliff fiasco leaving CSG 3 the sole permanent offensive US naval force in the Gulf. This being said, however, the US operates 11 CSGs and, in the event of war, the Sixth Fleet could be mobilized immediately to support 5th fleet against Iranian forces. 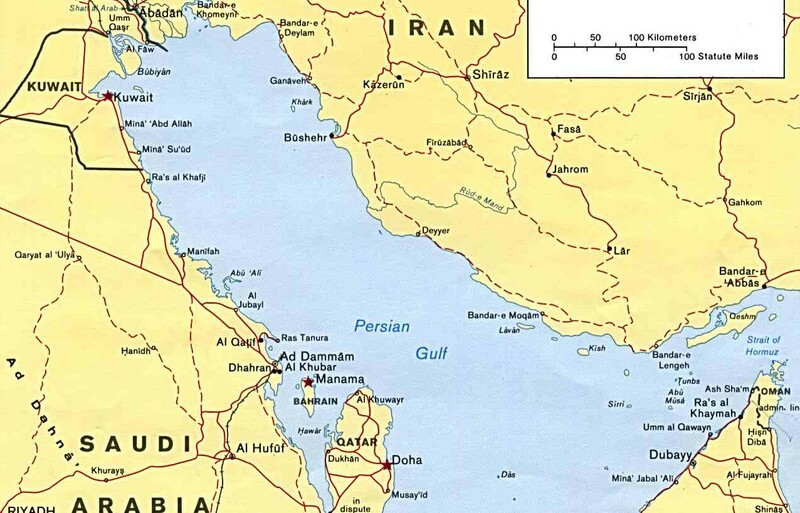 In effect, the US Navy should be able to maintain or reestablish the security of the Strait of Hormuz relatively quickly if Iran were to fight a traditional war. Iran, however, as evidenced by their investment in midget submarines and other small craft, seems intent on fighting using asymmetrical tactics with a focus on mobility and stealth instead of outright strength. In addition, Iran has many surface to surface missiles the most advanced of which is the Quader that Iran claims has the ability sink “great warships,” but are likely derivative of Chinese YJ-82 anti-ship missiles which are meant to be used against smaller ships like corvettes or frigates. Furthermore, US and US-allied ships have some of the most advanced countermeasure systems in existence. In the only combat use of an Iranian anti ship missile in 2006 launched by Hezbollah against an Israeli corvette, The corvette survived the missile strike even though countermeasures had never been deployed. 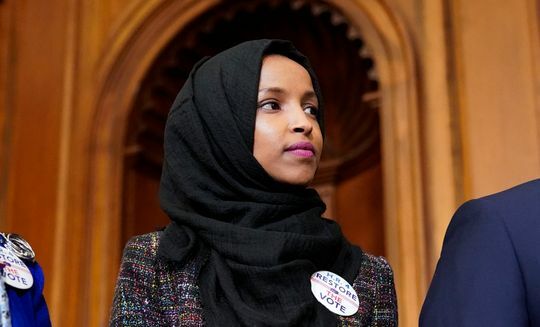 In effect, this all means that extended war would for Iran likely be unsustainable and unsuccessful in obstructing the Strait of Hormuz indefinitely. More successful, however, would likely be an attack on the oil producing facilities in the Gulf region at obstructing oil flow to the global oil market. Such an attack, if undertaken by surprise, could have the same if not a more profound effect on world oil supply, as facilities would cease to operate until repairs could be made instead of simply having to divert their products over land. Currently though, Iran is only threatening such actions as a response to an Israeli or US attack against Iranian nuclear facilities which would allow the US and coalition partners foreknowledge of a possible Iranian counterattack giving the US time to organize a defense and depriving the Iranians of initiative. China, Russia and Iran have a mutual interest in limiting US power in the Middle East and Central Asia. China and Russia hope that in the absence of US influence that the nations of Middle East and Central Asia will turn to the Chinese and Russians for hegemony and patronage. Iran sees Chinese and Russian leadership as preferable to US and European leadership because of restrictions the US and Europe wish to impose on Iran exercising regional hegemony in the Middle East as well as the West’s embargo of Iran and continued support of Israel. Efforts toward integration of Middle East and Central Asian nations into international organizations by the Russian and Chinese governments so as to more formally influence these regions have been largely successful. The Shanghai Cooperation Organization (SCO), which stresses military, economic and cultural cooperation, currently has as members Russia, China and the majority of Central Asia with observer status granted to India, Pakistan, Afghanistan, and Iran. The SCO has been seen as a reaction and counterweight to the US-dominated NATO, which has included and considered as members former Soviet Union nations like Ukraine and Georgia and has sought partnerships with Eastern and Central Asian nations. For China however, Iran and the Persian Gulf hold much more significance. In 2011, Chinese oil imports from nations exporting through the Strait of Hormuz amounted to 42% as opposed to the 24% imported by the US. China, whose growing economy is fuelled by imported natural resources, is more susceptible to the negative effects of a war in the Persian Gulf than the US and thus has a greater interest in peace. 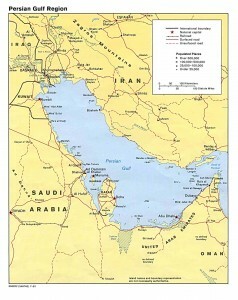 Ideally for China, there will be a drawdown of tension in the Persian Gulf along with increased US alienation of the Arab Middle East’s populace providing the necessary political will in Arab nations to distance themselves politically from the US and eventually move toward a more Sinocentric world order which has the added benefit of providing energy security for China. Russia on the other hand has little incentive against war in the Persian Gulf beside its potential escalation into war against the US or the replacement of the Iranian regime with a pro-US, pro-business Iran because Russia would stand to benefit immensely as the world second largest oil-producing nation from increased global prices and a virtual monopoly in the areas of Europe, where it does not already exercise such authority. Iran holds a position of immense strategic importance for the three major powers in the world today as well as a regional importance among the nations of the Persian Gulf both militarily and geopolitically. 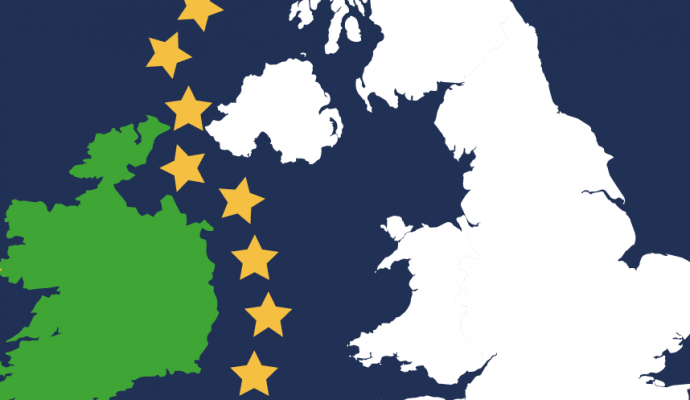 It is, in effect, a border between interests of East and West that will serve as either a catalyst for war and use of traditional hard power or as a conduit for economic, political and cultural soft power. Steven Rice is a FCRH 2014 Middle East Studies major and may be contacted at srice7@fordham.edu.